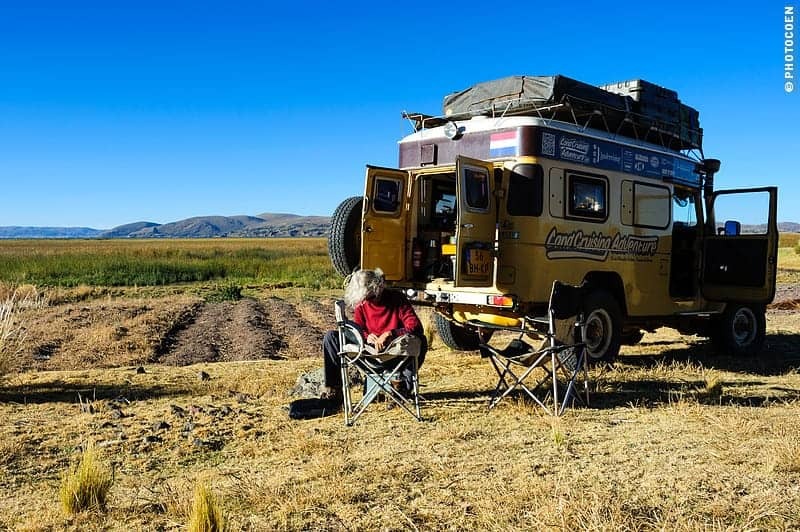 Overlander’s are known for taking a lot of ridiculous gear with them. We’ve seen double wide chairs, portable ovens, and even a cooler with a USB charger, speakers, and a blender. Yes seriously, you can check it out here. And yet despite some of the more gimmicky products, there are a few things that I love to use despite their glamping nature. Case in point, the GCI Freestyle Rocker. Maybe it’s the Texan in me, but the idea of sipping a cold beer in a rocking chair is about as close to heaven on earth as you can get. 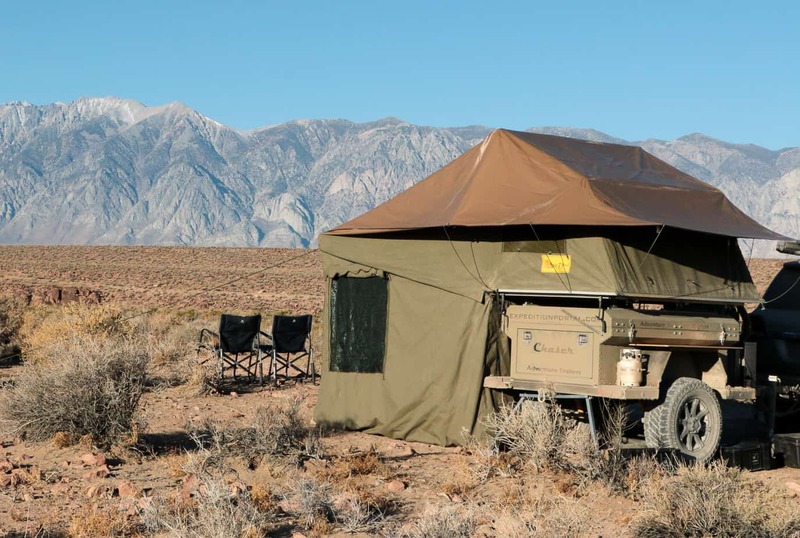 Add in a stunning view from a secluded campsite, and you’ve got a recipe for a perfect evening. But before we dive into why these chairs rock, lets address the concern holding everyone back, aren’t those things huge? 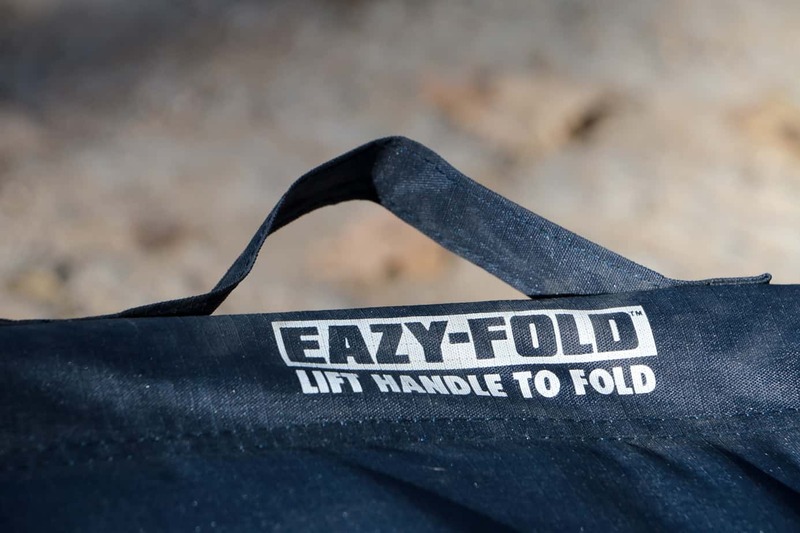 Folded the Freestyle rocker comes in at 25″ x 34.8″, or roughly the size of the chair’s you’d find at a Cabela’s. It’s certainly no Helinox, but that’s what I love about it. 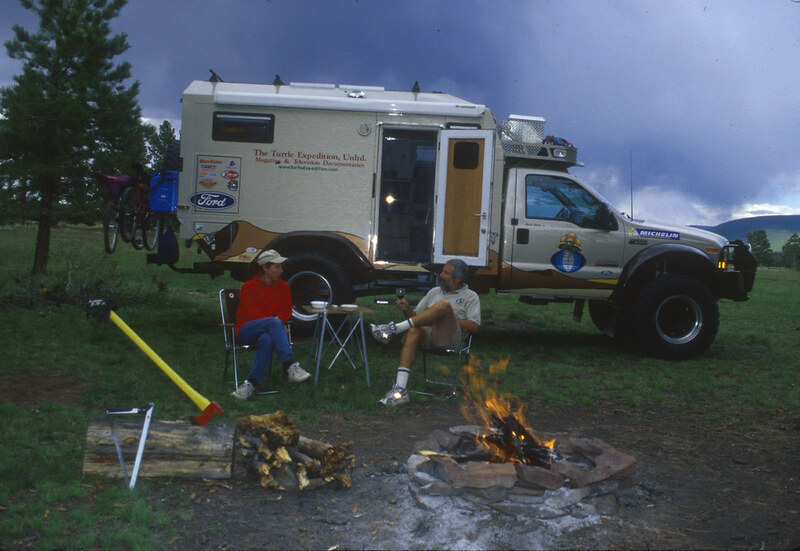 Take a moment to look at the campsites of real world travelers like A2A Expedition, Land Cruising Adventure, Desk to Glory, and the Turtle Expedition. Do you see them using tiny chopstick chairs? Nope, because small comforts matters on the road, and the last thing you need after a tough day is to try to balance yourself in a glorified soup bowl. Don’t get me wrong, lightweight chairs are a great solution for some, just not for all. So lets break down this comfy piece of camp kit. The basic structure is formed from powder coated steel, giving it a respectable weight rating of 250 lbs. 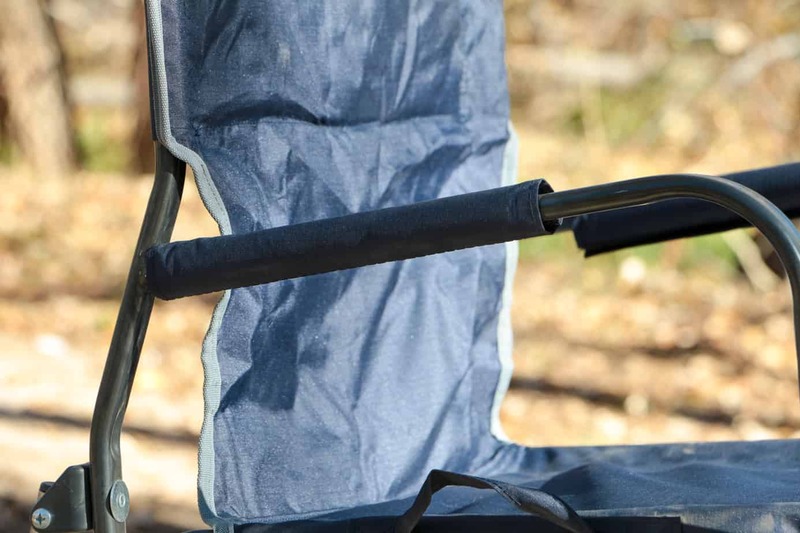 This of course increases the chair’s weight to a hefty 12.1 lbs, but a stitched carry handle makes that a little easier to accept. The fabrics feel durable with just enough give, and they don’t make a ton of noise like many cheaper brands. A fabric cup holder adorns the right side of the chair, and its thin design allows it to fold away easily when needed. The only area which I felt could be improved was the armrests. 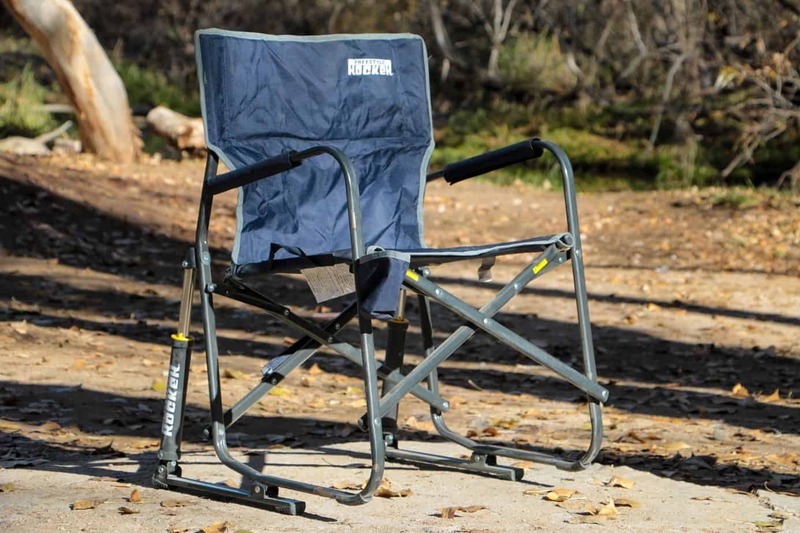 They are on par for any normal camp chair, but in comparison to the rest of the Freestyle’s design, they just seem mediocre. 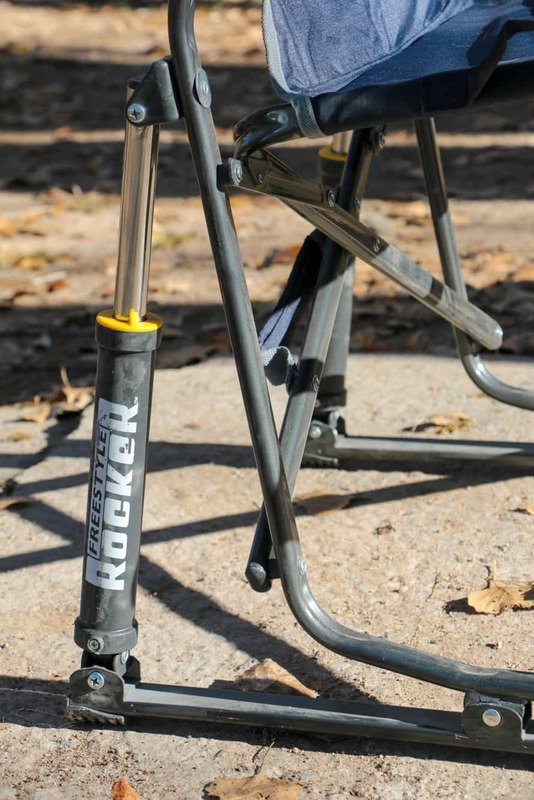 The backbone of this chair is GCI’s “Spring-Action Rocking Technology”, which is defined by the two clearly visible struts in the rear and two pivot points in the center of the chair’s base. 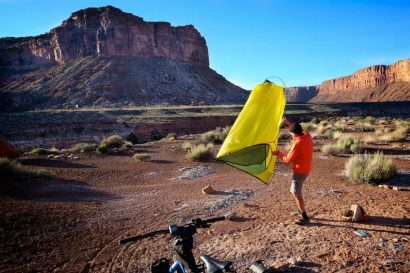 This system allows the user to rock easily even on rocky, muddy, snowy, and sandy terrain, a claim which we tested thoroughly over thousands of miles. 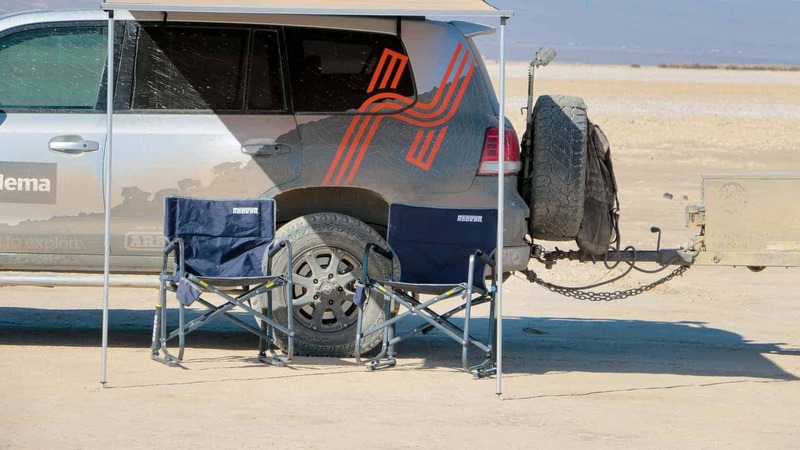 Folding the chair couldn’t be easier. Simply pull on the sides of the seat and the entire unit collapses to a scant 4.9″ thick. 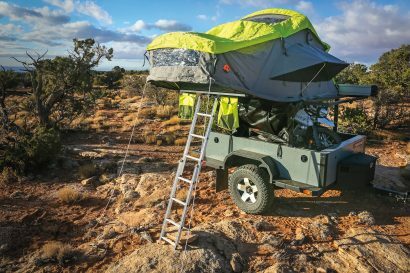 The square footprint makes finding a storage place easier, and the thick steel components let you strap it down in the vehicle without worry. As we used these products every day for over a month driving from Alaska to Mexico, I can say that they really do hold up in all conditions, including the freezing temperatures of the North. We let them bounce around the trailer on rocky roads, fall in the dirt, and even left them out in the rain overnight, but after taking physical damage of all kinds they continue to rock as smoothly as they day we bought them. 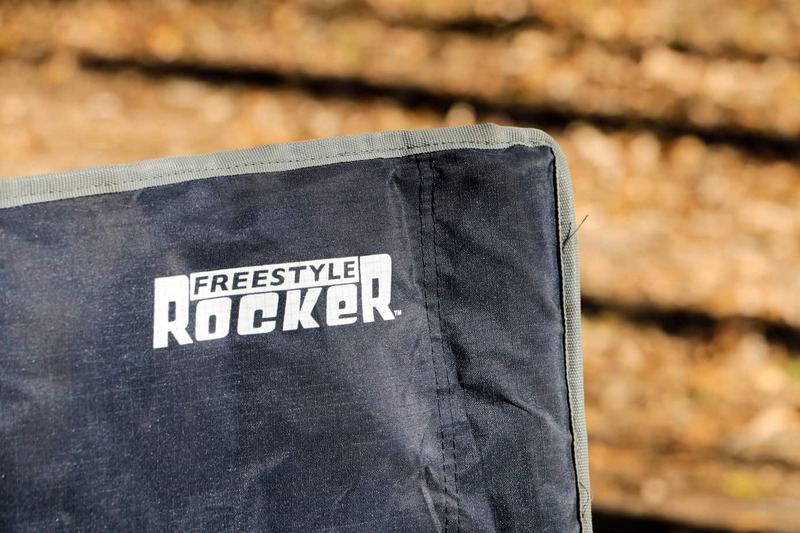 Retail price for the Freestyle Rocker comes in at $65 USD. While that’s not cheap, it is still half the price of a Helinox, and in my opinion worth it for the extra comfort and durability. 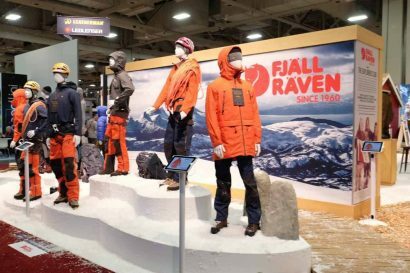 To find out more, visit the GCI Outdoor website here.